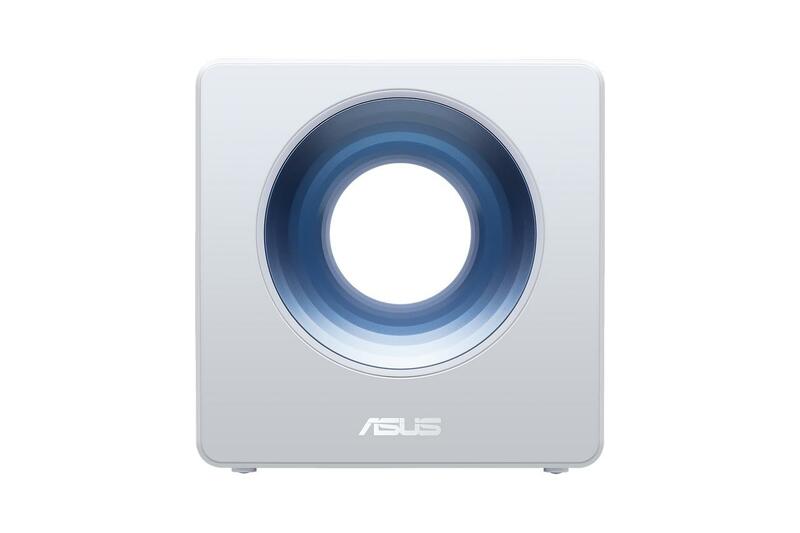 SYDNEY, Australia, January 4, 2018 — ASUS today announced Blue Cave, a stunningly designed high-performance AC2600 Wi-Fi router based on Intel’s connected home technology that’s built to meet the demanding needs of modern smart homes. Winner of a 2017 Computex Best Choice Golden Award, Blue Cave is an easy-to-use, innovatively designed router with stylish good looks and family-friendly features. It’s built to cope easily with the increasingly complex and bandwidth-heavy demands of smart home networks, offering superb multi-device performance powered by the Intel® Home Wi-Fi chipset, comprehensive commercial-grade security with ASUS AiProtection, and out-of-the-box IoT integration with Amazon Alexa and IFTTT. Blue Cave also offers easy PC-free network control, via the intuitive ASUS Router mobile app for Android and iOS devices. 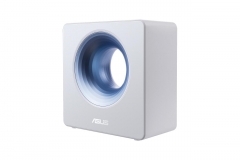 Blue Cave combines ASUS engineering and Intel’s home Wi-Fi technology to deliver ultrafast AC2600-class concurrent dual-band Wi-Fi speeds throughout the home, ensuring smooth 4K UHD video streaming and gaming, and fast file downloads. With Intel technology, the router has more than enough capacity to handle the simultaneous data demands of the multiple devices found in today’s smart homes and dedicated bandwidth for software and security features. Blue Cave’s unique styling and powerful performance are both made possible by our sophisticated Wi-Fi engineering. Internal antennas are often a compromise: they allow a neater external design, but they can be prone to performance-sapping interference. In Blue Cave, the location and orientation of the four fully-optimized antennas relative to each other and to the internal circuitry was carefully decided by experiment to give the best possible Wi-Fi signal in all directions. Blue Cave has a strikingly compact design that fits anywhere. To achieve its small size, ASUS engineers reduced the footprint of the internal circuit board by creating a special two-layer design. Additionally, a custom heat sink coated with graphene provides maximum surface area for heat-dissipation, enabling a smaller overall size. 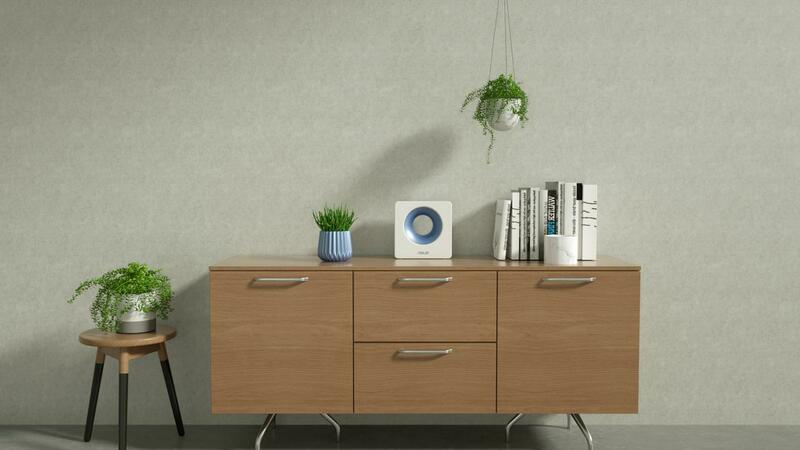 Blue Cave incorporates AiProtection, the first commercial-grade security for home networks. AiProtection, powered by Trend Micro™, is free for the life of the product, and protects every connected smart device on the network, including IoT devices. To make the protection even more complete, Blue Cave includes a year’s free Trend Micro™ Mobile Security for two mobile devices and Trend Micro Titanium Antivirus+ for two Windows PCs. Redemption instructions are included in the box. This offer is available until December 31, 2018. Blue Cave takes the pain out of managing a home network. It’s easy to set up and easy to keep an eye on what’s happening, via the intuitive PC interface or the ASUS Router mobile app. With just a few taps or clicks, users can see when new devices connect or when new updates become available, and change router settings to suit their needs.